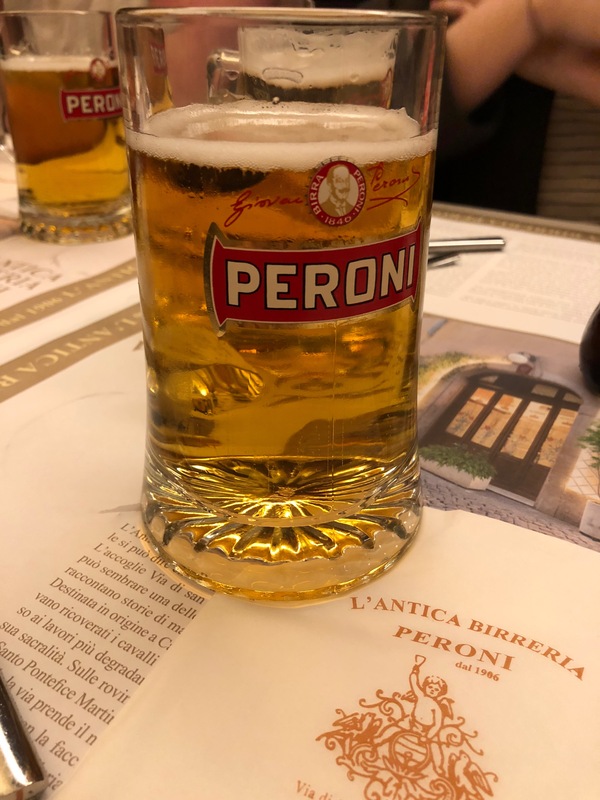 One year ago today, I was speed walking down the endless halls of the Vatican Museum — past hundred-year-old tapestries, the colorful Gallery of Maps frescoes and the ornately gilded painted ceilings — hoping my four kids wouldn’t kill me. 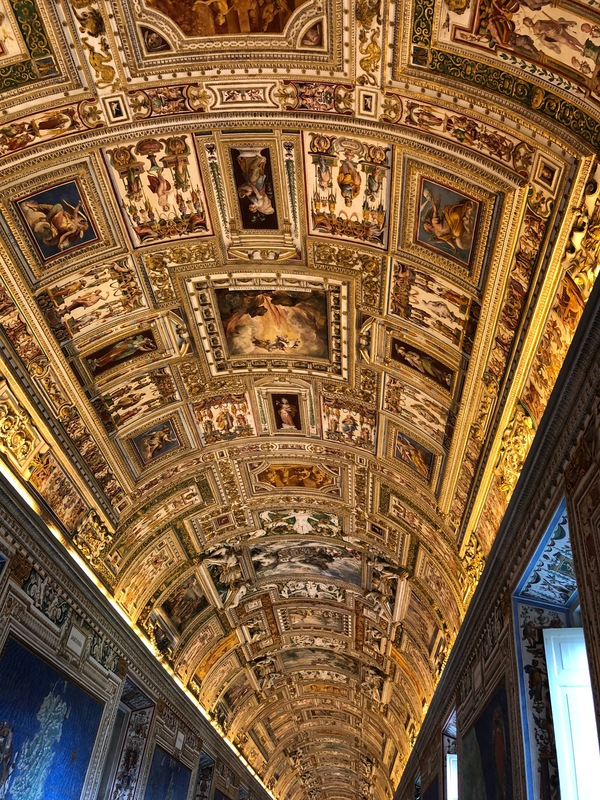 It was the second time that morning we’d traveled the endless corridor until we reached the Sistine Chapel. We’d arrived for our guided tour at 8am to meet inside a storefront just outside the Vatican’s walls. As fellow tourists poured into the office, we were separated by the language that we spoke — French speakers take this purple ticket and wait over here; Spanish speaking folks with the orange tickets over there, and so on. Finally, we were sent outside to meet our tour guide with what seemed like a million other Americans, and we slowly pushed out way through the crowds and through the gates. It was our first full day in Italy. 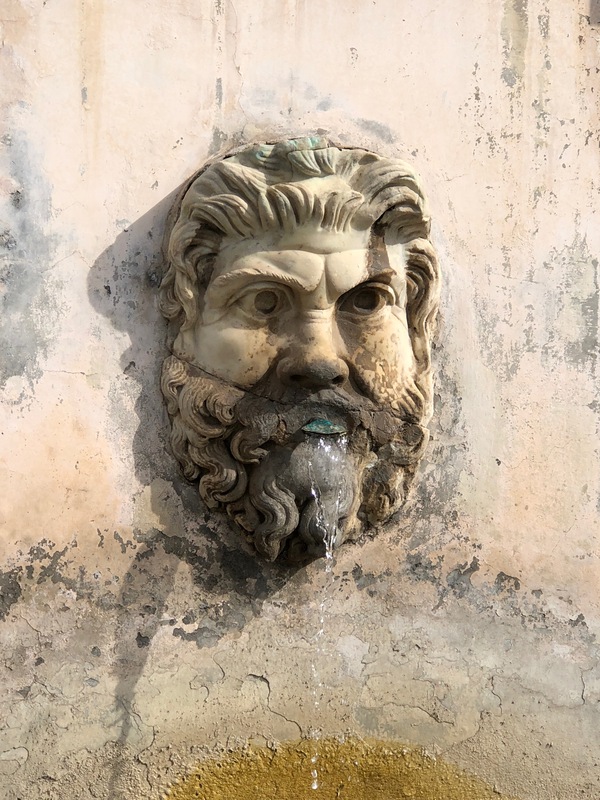 We’d arrived at our hotel in Rome late morning the day before and I had planned for us to roam around and check out the Trevi Fountain and Piaza Navona — plus dig into big bowls of pasta — before a tour in the afternoon touted to take us off the beaten paths of the city. 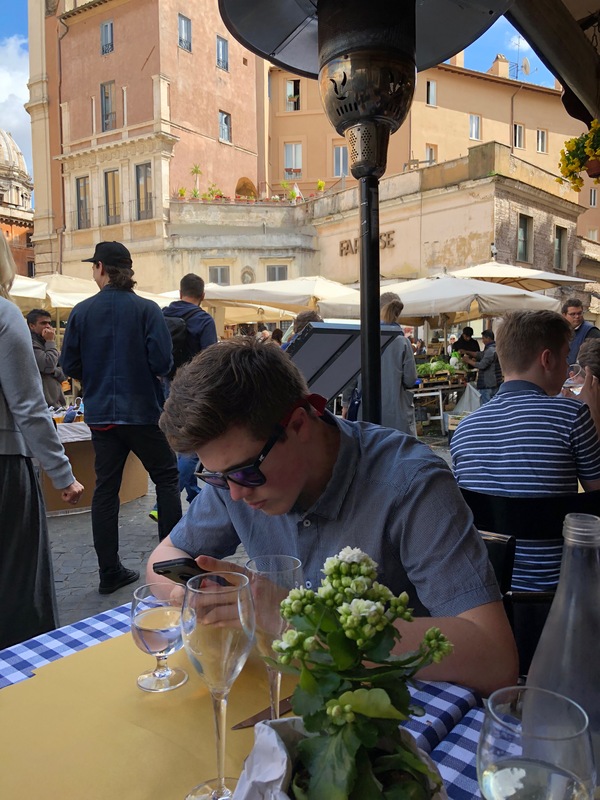 We were joined by a friendly mother and daughter from Norway, and our guide — an endearing 20-something Italian hipster — showed us a flower market, took us for cappuccinos and introduced us to the narrow streets of Trastevere. It was late afternoon by the time the tour was through and we were exhausted from the time change and all the walking and asked our guide to recommend a nearby place for us to eat an early dinner. So that’s how we came to eat hot dogs and sauerkraut for dinner on our first night in Italy. By the time we realized the type of cuisine served at the restaurant the guide had suggested, we were too tired to go look for something more “Italian.” Instead we slid into the roomy booth, order big mugs of beer and wolfed down traditional German food before the long walk back to our pensione. Day 2 had us hitting the Vatican first thing in the morning and then a tour of the Colosseum and Roman Forum in the afternoon. I know, ambitious. But I knew that my kids were not good wanderers or spur-of-the-moment travelers. I knew they needed an itinerary and preferably a steady low blood alcohol level to keep them happy. But the Vatican tour was boring (even I agreed), our guide — a middle-aged Italian woman who ran her tour like a classroom lecture — was humorless and was required to stretch her spiel out in the museum a little more than usual as our tour fell on the Thursday before Easter and the St. Peter’s was off-limits to us as the pope was holding a mass. I’d visited the cathedral 30 years earlier on a whirlwind European jaunt with a high school girlfriend and the day we visited the Vatican, was after a night in a Trastevere bar were we learned Italian beer was much stronger than the Coors Light we were used to at home, and that the locals could get frisky — like, aggressively follow you into the bar’s bathroom for a groping — if given the opportunity. We arrived at St. Peter’s hungover and covered in hickeys and took pictures of each other pretending to enter the confessional, gauzy scarves draped around our necks in deference to our Catholic upbringings. In the late 1980s, you were allowed to walk up narrow windy steps to walk around the interior of the cathedral’s dome, which is the first time I realized I suffered from horrible vertigo. 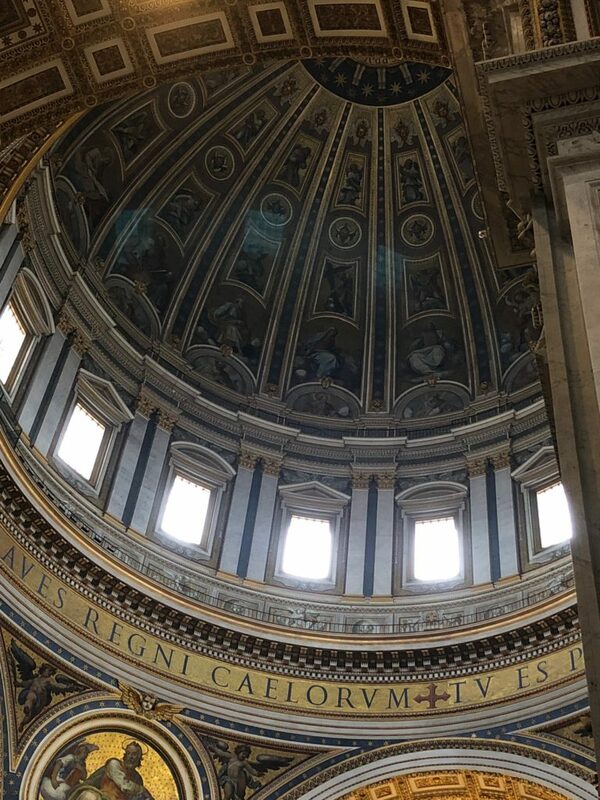 To this day, I dream of sliding my way around the dome’s circumference, my back pressed against the wall and trying not to look at the knee-high wall separating me from the church’s abyss. Later, we made our way to the top of the dome and recreated the horror of circling the dome, only this time from the outside and — since it was at the tippy top, a much smaller diameter to slide around. I also learned that day the Italians weren’t keen on safety measures. 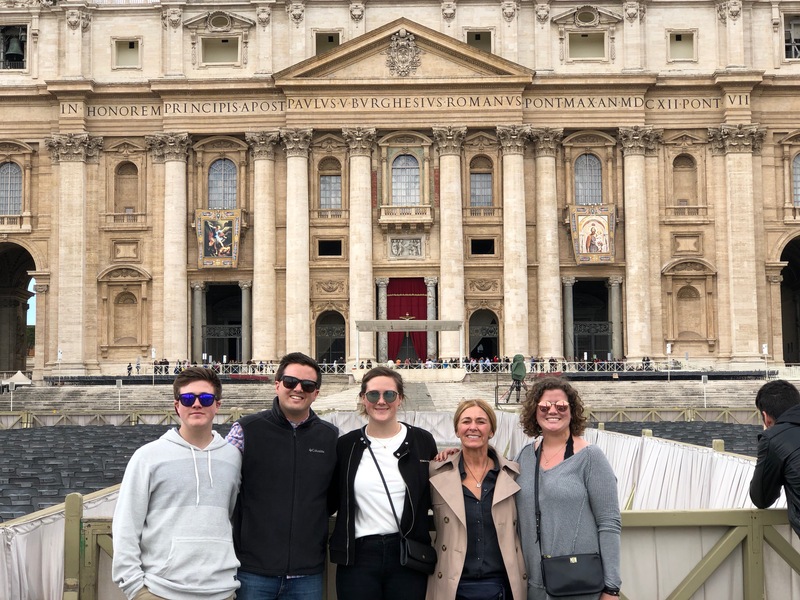 Aside from the vertigo and hickeys, my long-ago visit to St. Peter’s inspired such awe — and it’s such an iconic Roman landmark — I just couldn’t leave without at least trying to get my four children to see it. Our guide had told us that the only way into the cathedral, without having to stand on the long line snaking outside, was to enter from the Sistine Chapel. There are two doors there to choose from: one that leads you back into the museum and the exit, and the other into St. Peter’s. Since we weren’t going to be allowed to go into the church once we were through with the Sistine Chapel the first time, the guide said that once we got back to the main entrance, we should turn around and walk down the approximately 7 miles of hallway back to the Sistine Chapel, and then try getting into the cathedral from there. When I asked my kids what they wanted to do, they were like: “We’re good.” They were ready to move on from the Vatican and go get some pasta and wine for lunch. But then they saw my face. It was like all those times I’d start to count to 3 to get them to do something, and even though — once they were old enough — they knew nothing was really going to happen once I hit 3, they complied. They were just conditioned to do, or stop doing, whatever it was I wanted by the time I hit 2.5. “We can tell you’re gonna be disappointed,” said their spokesperson, my younger daughter. 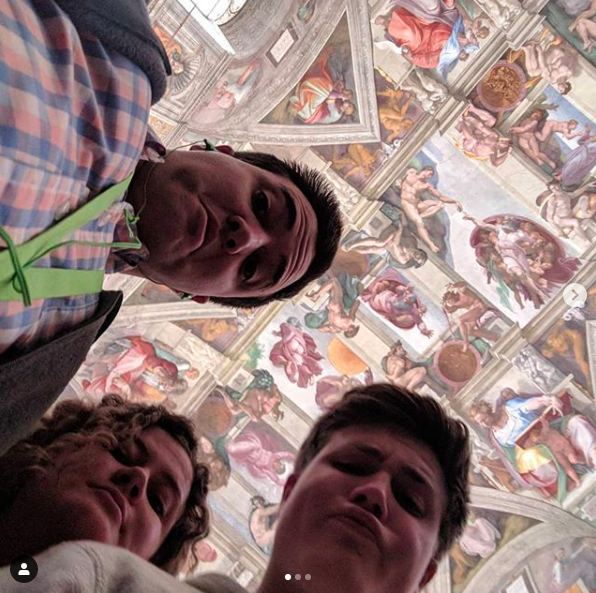 “So let’s just get this over with,” and they turned from the Vatican exit and began to speed walk down the hallway that earlier that morning took us about 2 hours to traverse to the Sistine Chapel at the end. And the place, as you can imagine 3 days before Easter, was mobbed. I am by far the shortest person in my family, so every once in a while the kids would have to pull to the side to wait for me. Back in the Gallery of Maps, I tried to stop and admire a fresco of Sicily, but was quickly pulled away by my oldest son and told to keep walking. 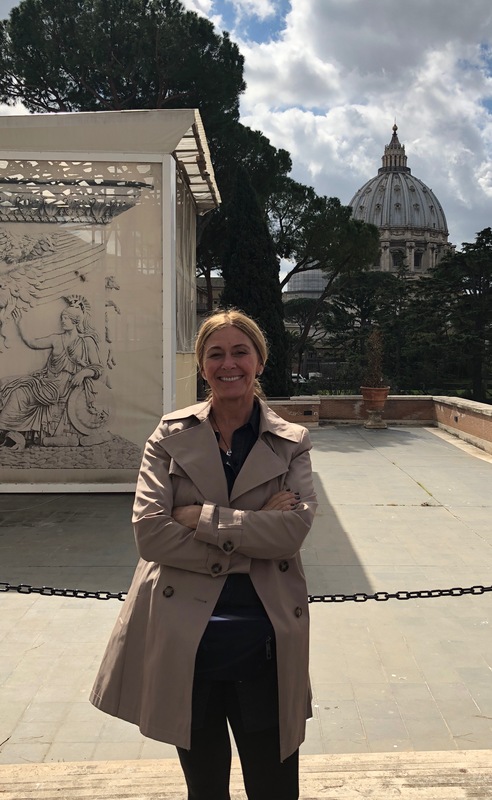 Even when we hit the Sistine Chapel and I tried, just one more time, to look up at the majesty of Michelangelo’s masterpiece, I got snarled at and told to move. The whole time, I worried about what would happen if we got back to the cathedral door and found it was still locked for the pope’s mass. I wondered if the children murdered me, who would tell them what to do next that day? Luckily, as we approached the 2 doors, the entrance to St. Peter’s was opened to the public and we strode through and I said a silent prayer of thanks. But by the time we entered the holiest of spaces, my kids were completely over it. We speed walked down the aisles and past the Pieta. We stood and looked up at the soaring dome, but I didn’t even dare to suggest we see if we could go upstairs for a walk around. Without an official tour guide, we were probably through the church and walking through St. Peter’s Square towards lunch in about 10 minutes. The next morning we’d be on a bus to Siena to explore the Tuscan countryside for 2 days before taking a train to Florence for Easter and then back to Rome to fly home Wednesday. There were plenty of highs — the meal we had the second night in Siena and the rooftop of the place we stayed in Florence overlooking the river, with the Duomo in the distance — and lots of lows, too (the fight two of the kids had in Florence while I tried to eat the best pizza of my life and ignore them). I guess that’s what family vacations are all about: the good, the bad, and the irreplaceable shared experience. I’d do it again in a heartbeat. Do these stories make you feel normal? Do they help you hate your children a wee bit less? You can sign up to get more tales just like this one, delivered straight to your inbox. And you won’t even have to ask your children’s permission. Subscribe today! 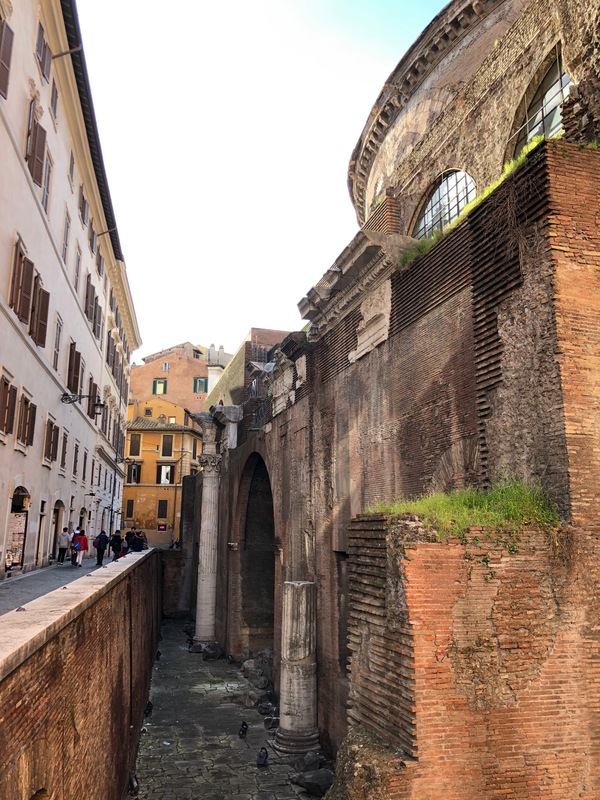 This entry was posted in Adult children, Travel and tagged european travel, family travel, family vacation, Italy, Rome, travel. Bookmark the permalink. Having just returned from taking my 3 boys to Germany (plus a Luxembourg day trip plus 2 nights in Amsterdam) for 10 days, I will admit that my blog-worthy recap did not include the, uh, lower points that sprung from tension in the group. I did learn a lot about how we all interact, though, and that insight may be the best souvenir of all, at least for me.